Getting cheaper blenders for making healthier and tastier smoothies can be quite tricky. This is because the market is marred with various brands that come in different features and power. Apart from making delicious smoothies, you also need a gadget that will fit your financial budget. Blenders’ price range depends on various factors including material, capacity, brand, and even the design. But, paying more does not always mean more versatility and exceptional results. Some really affordable options outdo some overly expensive blenders and that’s why we sored the market to identify and share here to make your search easy. 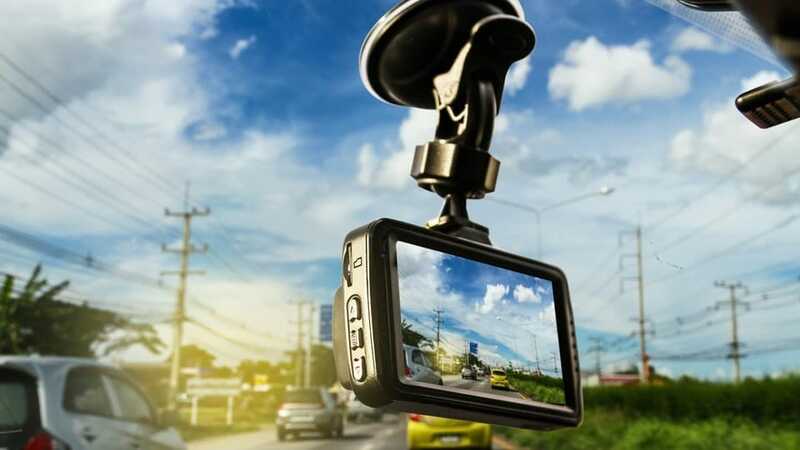 A simple but powerful gadget will be an excellent choice for you. If you use a lower-powered blender to blender harder food, then it might not last you for long. What you intend to blend will determine the power you need to get the job done. 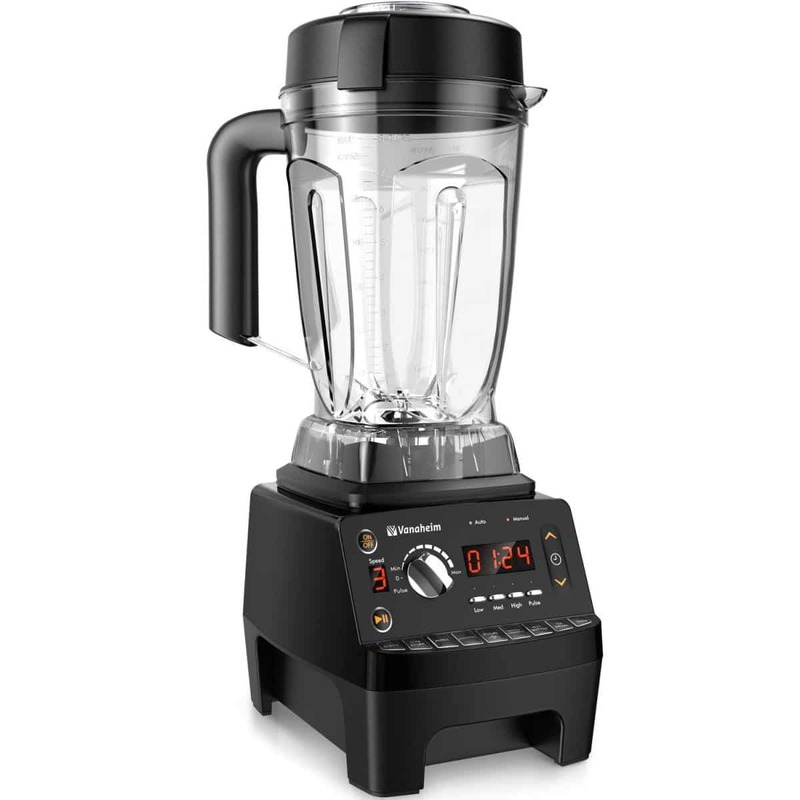 An entry-level model is ideal to make smoothies and purees. Do thorough research to understand the model that will fit your needs. Grinding nuts, making protein balls, and blending coarse food require a high-powered blender. If you subject a lower-powered blender to such task, it will wear out quickly as it might not be built for the jobs. A blender is a great kitchen investment. Focus on asking yourself about what will affect the durability of your gadget. This includes how often you want to use it, what will go into it, and what you’re willing to pay for it. Blender containers are mostly made of plastic, stainless steel or glass. Glass containers are the heaviest, more stable, and tend to be costlier compared to the other two. However, it becomes a hard task to pour out substances from glass containers. Stainless steel containers have a classy look, but they block you from seeing the content being blended. This makes it hard to check the consistency and uniformity of the liquid. Plastic containers are light and cheaper than the other two. They are popular and readily available in various retail stores near you. However, they are prone to scratches and might absorb the fragrance of pulverized content. Today, manufacturing companies are focusing on designing blenders with BP-free material to dishwasher safe. BPA-free fabric ensures no chemicals are seeping into food to ensure you consume chemical-free food. Countertop blenders are relatively bigger than hand blenders. Hand blenders can be easily stashed in a kitchen cabinet. On the other hand, countertop blenders occupy a significant amount of space. If you have a small kitchen space, then you may not consider buying a countertop blender. However, countertops blend large quantities of food items. Why we like it: It has a low profile design to make it fit easily under cabinets on the countertop. The 1000-watt allows it to blast ice into snow in seconds. It’s designed to blend ingredients smoother than other cheap blenders in the market. 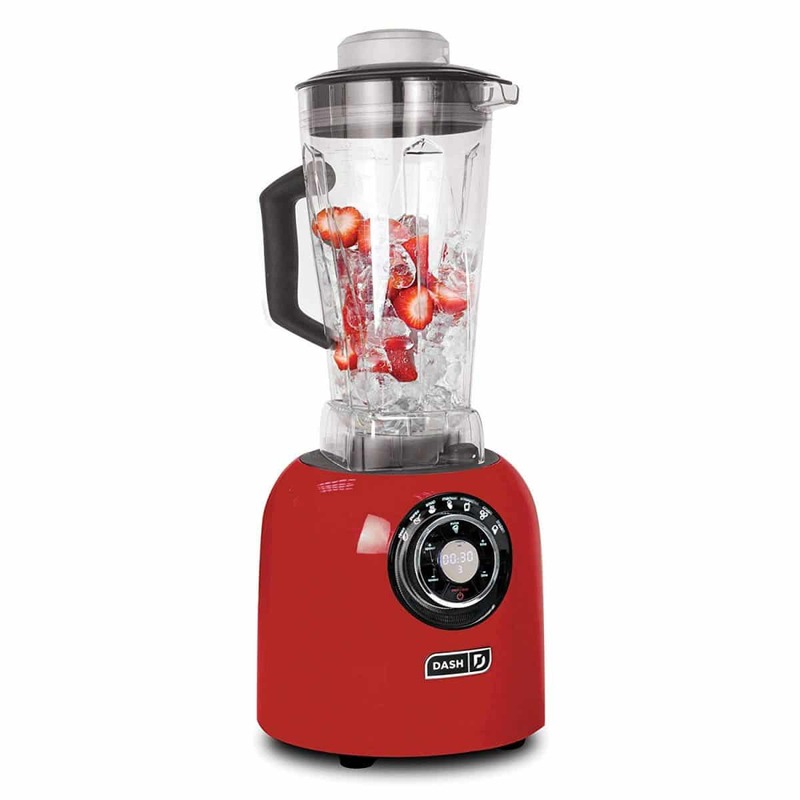 The blender comes with a powerful 1000-watt motor which is ideal to handle medium duty jobs. The container is plastic making it easy to pour content from the gadget. The base unit is a little heavy to offer the necessary stability when blending food. Ninja Professional blender 1000 is a popular gadget among the best cheap blenders costing around $100. 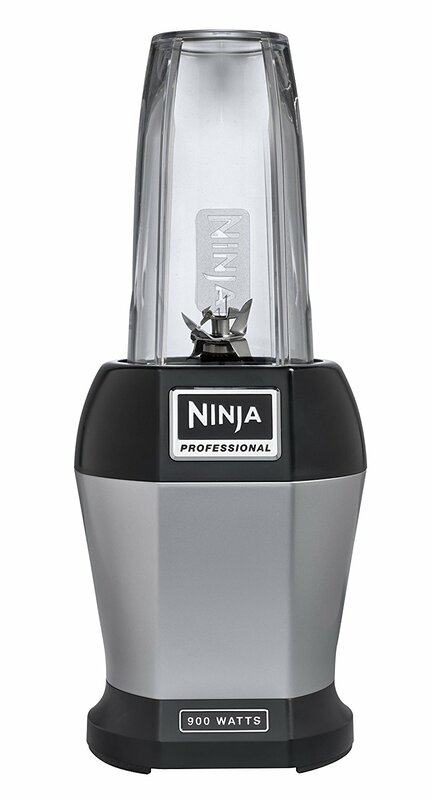 Ninja is designed with total crushing blades that will give you perfect blending, pureeing and ice crushing. Controlled processing allows you to determine the smoothness of the content. You will love its ability to crush frozen fruits and ice in seconds. Ninja professional 72 oz is not only good in making smoothies, but it can also make large batches of frozen and creamy drinks for the entire family. The total crushing technology delivers unrivaled power with potent blades that pulverize vegetables, whole fruits, and ice in seconds. It is also ideal for large batches of daiquiris and margaritas. However, it might not be an ideal gadget to crush hard nuts. Ninja blender features a low-profile design with an outstanding performance of 1000-watt. It is made of BPA-free and its dishwasher safer. It has the lid, pitcher locking system, and blade assembly which makes it easy to assemble and disassemble. However, be keen when handling blades since they are sharp and sturdy. The pitcher, blade tower, and lid are dishwasher safe, making it easy to clean. Since the blades are sharp, it’s advisable to handle them carefully when washing. The base unit is a little heavier. However, it makes it stable. The other pitcher is plastic making it light for easy portability. Furthermore, if you have been looking for a blender that will suit your tight budget and provide exceptions results, then you got the right gadget here! Why we like it: This device is designed with 9-pre-programmed presets and 9 speeds setting to give you consistency and power you need for healthy and delicious blends. It’s 1450W powerful gadget to be used on an array of applications. The KB64 professional blender is constructed with a robust crushing technology that will turn hard food into an easy soluble mixture. It features sturdy all-metal, 8-start blades which are stain-resistant. They work like a charm at a maximum speed of 28000RPMs, providing you with perfect results. It’s built with 1450 watts to blend your favorite ingredients into delicious smoothies and blasting ice into snow. The multi-programed operations allow you to make personalized smoothies and drinks for pre and post workout. The powerful 2.0HP motor is thermoshock resistant and delivers 1450W peak power. It supplies you with efficient power required to crush and liquefy the ingredients. Thermoshock-resistant feature protects the blender in case it gets overloaded with content. You wouldn’t want to own the nosiest gadget in the neighborhood. Thus the blender is constructed to be 4x quieter than other blenders. The reinforced stainless steel coupler is specially designed to provide efficient and direct power transfer from the motor to the blades for potent blending. This 1450W blender will crush ice into sorbet within seconds. With 9 speeds settings, you will manage to chop, puree, mix and stir ingredients into smooth drinks. The multi-speed features help you to blend various items including nuts and whole fruits. This is one of the most versatile blenders costing under $100 you will ever find in the market. It can make nut butter, milkshakes, silky smoothies, frozen drinks, ice crush, milk substitutes, cocktails, and soup. 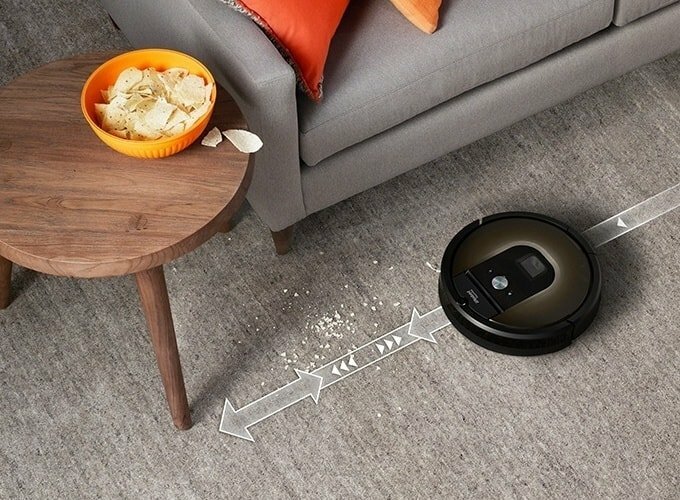 The gadget is designed with a self-cleaning feature. You only need to add a few drops of soap and water. Select the speed, and the KB64 will clean itself. Rinse and dry. It’s that simple! The container is made of BPA-free fabric. The 2-part lid comes with a removable lid plug to help you add more ingredients while blending. Finding a high-quality blender that comes at a competitive price can be a hurdle. It provides perfect results. This is an all-purpose machine that will give you the value for your money. Why we like it: The gadget is exemplary designed to provide to offer ultimate blending in performance to chop, puree, liquefy, and stir. The stainless steel construction gives it a sleek look. The blender comes in four distinct colors giving you a chance to choose your favorite shade. 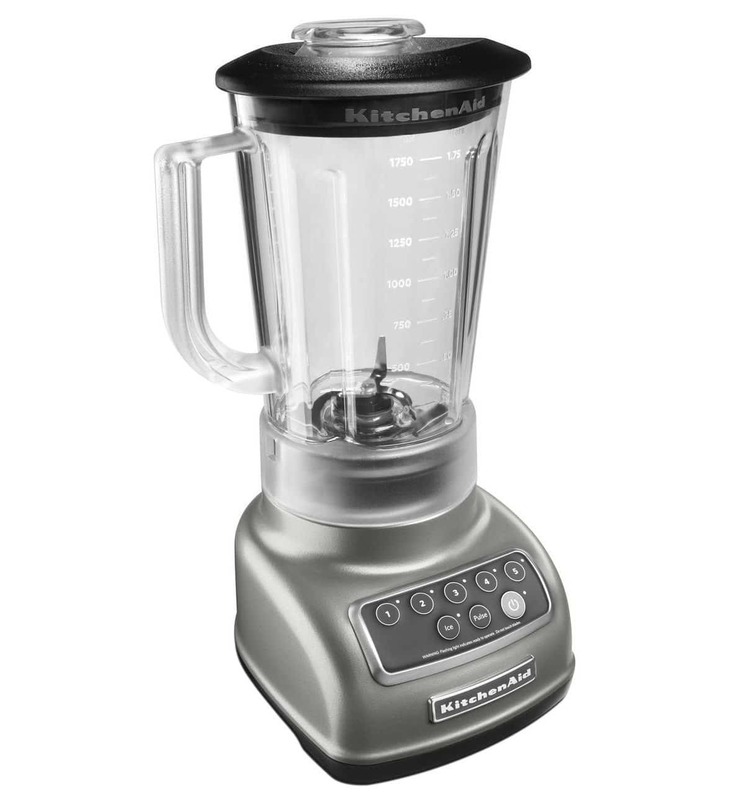 The KSBI570SL is one of the most popular blenders produced by KitchenAid. It is infused with features that make it easy to operate. It comes with intelli-speed motor control that keeps the blending speed at a constant rate. A consistent speed rate ensures you get smooth content according to your desire. While still blending, the device can detect changes in the inter motor speed. The intelli-speed technology will instantly compensate a drop in speed. In most cases, the blender’s speed tends to fluctuate depending on the consistency of the content which might lead to uneven blending procedure. However, with the intelli-speed system, the KSB1570L will blend more quickly and thoroughly. The steel-reinforced coupler provides efficient power for better results. The coupler is coated with a film of lubricant to ensure a quieter operation that various cheap blender on the market doesn’t have. More so, the device has a pulse setting that be used with 1-5 speed settings to help you set the right model depending on the components you’re blending. The KSB1570L is designed with five speeds setting modes. Each level will determine the ingredient you want to blend. They can help you in chopping, mixing, staring, pureeing, and liquefying. The pulse mode works perfectly with all speeds for stunned blending. It also has the crush ice feature which alternates at precise intervals for ultimate ice crushing results. You can also blend nuts. The blender features a 5-ounce BPA-Free pitcher that is stain-resistance, shatter-scratch, and dishwasher safe for easy cleaning. The mixer, however, does not separate from the base unit which might make it hard for portability. However, this makes cleaning seamless since there is no assemble-disassemble hassle. A high-quality blender with ergonomic design and advanced features to make your work easy. The wide arrays of blending speeds, intelli-speed system, and soft-start feature make it a popular gadget in the KitchenAid catalog .it is an excellent and inexpensive device that can be used in various applications. Why we like it: It is one of the cheapest, high-quality blenders in the market today. Duralast all-metal provides durability while the dual direction blade system helps in chopping ingredients with precision for excellent results. With over 70 years in the industry, you can be guaranteed that Oster blenders are well constructed to last long. 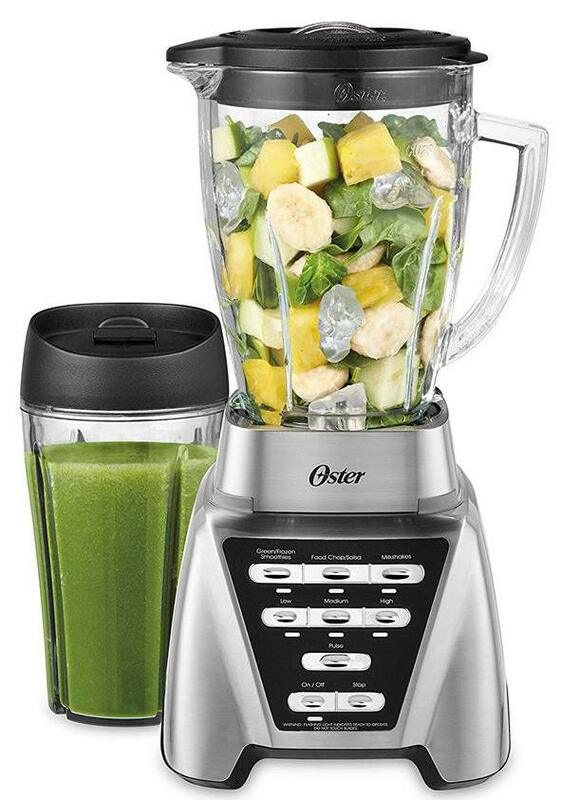 For this particular gadget, Oster exceeded the market expectations by ensuring it’s infused with reliable features to make your smoothies great. The machine has a strong motor that pulverizes greens, crushes ice, and turns frozen fruits into delicious sorbets. The three-speed settings eliminate guesswork. It offers one-touch controls for shakes, smoothies, and salsas. It allows visibility of the content inside to help you determine the consistency of the drink being made. The base unit is made of ultra-strong BPA-free plastic material to increase the gadget’s stability. It has a lid that comes with a measuring cup which can be removed to add more ingredients without taking the top off. It features large and sharp blades, translating into effective processing. The machine is powered by a 1200-watt motor that rotates at a speed of 19,000RMP. This is potent enough to blend tough ingredients and crush ice seamlessly. The blender comes with a 24oz smoothie cup to allow you to take it with you on a walk, at work, and more. The pre-programmed setting is ideal for salsa, milkshakes, and smoothies. It pulverizes kale without leaving chunks. It crushes ice and also grinds chia and flax seeds for a delicious smoothie. Even if you’re new to blending, this machines is fairly easy to use. It comes with removable parts that are easy to assemble and disassemble. The multiple speed setting ensures you get fine content. You can easily stop the cycle with a stop button. Clean the removable parts with soapy water. Wipe the base unit with a damp cloth. This device is your ultimate solution if you’re looking for a relatively versatile and powerful machine that comes at an affordable price. It may be a loud-and-proud blender but worthwhile. Why we like it: This is a go-to machine for smoothie making to satisfy your smoothie crave. Usually, Ninja products are associated with high prices. But the Pro Blender has struck the balanced between low cost and quality production. The device has four main parts which include 24oz cup, 18oz cup, the power base, and 75-recipe guide. Like most single blenders, Ninja Pro Blender has one speed to mix, blend, and process. The 18oz and 24oz cups are contoured for drinking. It means you can blend your content and drink them immediately without transferring them to another glass. The Nutri Ninja pro is constructed to give you powerful vitamin and nutrient extraction. It’s glorified as one of the best cheap blenders in today’s market. It extracts whole fruits and veggies to give you delicious and healthy smoothies. The 900 watts provides professional power to break and grind ingredients to nutrient-rich juices. The blades are designed to be strong and sharp to crush through seeds, ice, stems, and skins for consistency and smooth content. The BL456 has a decent design and string blades that can definitely mix veggies, seeds, and crush ice with easiness. It’s a fairly versatile device than most single-speed devices. Although it has 900watts of professional power, this blender can easily grind hard nut into a fine, nutritious drink. One of the best features of Ninja Pro is that you can carry it outdoor wherever you go. The containers come in various sizes to help you choose your preferred size. Thanks to the smart features, this device delivers flawless mixing, blending, and chopping. The automatic turn-off function allows you to stop the cycle with a stop button. Preparing your choice of drink is easier than ever. It works efficiently and effortlessly. It comes with a manual to help you operate easily. It’s made of high-quality BPA-free material, and all elements are dishwasher safe. Always clean the gadget immediately after use. Most blenders will only give you an extract. However, with Nutri Ninja Pro BL456 you’re guaranteed of perfect extract bloated with nutrients with it. It can be easily operated, and the recipe guide helps you in making various healthy drinks. Why we like it: It is a BPA-Free blender that comes with 1800W power for easy extraction of smoothie. The blender is versatile to makes margaritas, batters, coups, ice cream, salsas, cappuccinos, and many more. If you’re looking for a decent quality and high-performance commercial blender under $200, then Cleanblend machine might be your ultimate bet. The 3HP 1800 watt is touted as the best device that matches features of a Vitamix and power at a competitive price. The 1800 watts is a good power rating and can perform many blending tasks just like most of the high-end blenders. It has a plastic jar made of BPA-Free material for user’s safety. The jar integrates a tamper to help with food processing and thick recipes. Furthermore, it features stainless steel blades that use sealed ball bearings. The edges are stain-resistant and sharp for fast and smooth extraction. It’s fitted with a pulse and manual speed dial option. This enables you to control the blending process. 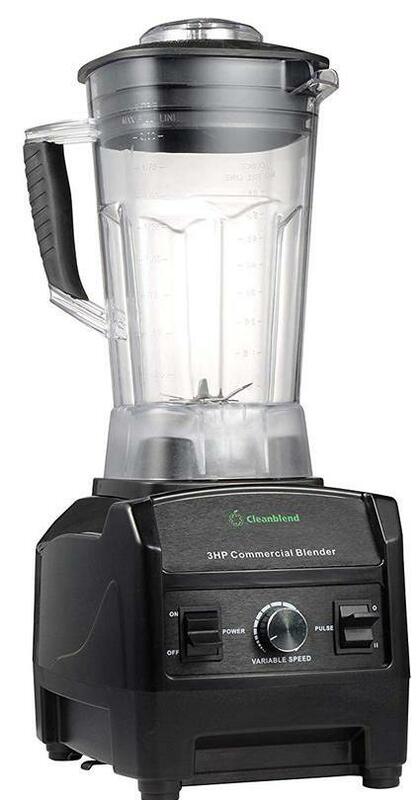 Cleanblend is a good commercial blender that is described as an all-in-one appliance that is highly versatile. It comes with easy-to-follow recipes that will help you in making a delicious soup for lunch and dinner. Enjoy a healthy morning smoothie by blending veggies and fruits concoctions. The blender will help you make an afternoon and an after dinner snack. You can make ice cream and hummus in minutes. You can efficiently operate this blender and control the cycles with a press button. The base unit is stable and durable. However, when cleaning takes caution of the stainless steel 6 blades which are sharp and might hurt your fingers when cleaning. BPA plastic is easy to clean and maintain. Cleanblend’s functionality is good and can perform almost any task with efficiency. It is a powerful and durable blender for the price. Why we like it: It’s a powerful blender that comes with 6-point commercial stainless steel blades that crush ice and blend fruits with easiness. Chef Series blender can blend both hot and cold ingredients in a few minutes. Dash Chef Series has a massive base unit measuring about 10in high with a footprint of 8.75in in diameter. It’s considered as a tall device that might not fit in a standard kitchen cabinet. Hence, consider your kitchen cabinet space before buying the gadget. Dash Chef Series compete with other high-end blenders in the market. It is equipped with a high-power motor that makes it perform blending tasks that other standard commercial machines cannot accomplish. Dash blender has a control panel equipped with 6-presets, 10 speeds, digital interface, and pulse function. The time buttons set time between one to ten minutes. It has a dial knob contains sets that pre-set the programs like soup, puree, crush, and frozen. To perform these tasks, you need to rotate the knob to the appropriate program position. This blender is a multipurpose gadget that makes fairly smooth drinks by grinding soft and tough ingredients like kales, seeds, spinach, and carrots. Flax and chia seeds will also be effortlessly homogenized to make nutritious drinks. The blender is not designed to make juices, but it gives you smooth smoothies. More so, it’s powerful enough to crush ice even without adding liquid. It can also pulverize nuts into liquids and perfect in making meshes, sauces, deeps and various spreads. One of the best features of this gadget is its ability to blend both hot and cold ingredients. It’s capable of making bulletproof coffee. It’s one of the best cheap blenders in the market that is easy to operate. With its inbuilt blade assembly, you only need to place the jar on the base. Ensure there is a beep to indicate that the pitcher is well fitted. Fit the rubber lid securely to avoid slippage of content. However, it’s not dishwasher safe. The irremovable blades make cleaning an easy task by using the self-cleaning procedure. Dash Chef Series is a decent cheap blender that is fitted with ergonomic features to turn soft and hard ingredients into smooth smoothies. It’s ideal for making drinks for the entire family. Why we like it: The 1500-watt advanced motor system supplies enough power to ensure the blender grind even the toughest grains. The blender comes with ten manual mode speed with different speed control to allow full control and customization. Meet Ninja Chef blender that is specially designed for high-end chefs. It will inspire you to explore the world of smoothie. It exposes you to a whole new world of flavors, making your culinary dream come true. Ninja is a reputable and reliable manufacturing company that produces quality gadgets in the market. You can then be guaranteed that Ninja Chef will meet your blending needs flawlessly. It features a sleek design with a digital primary control button. The machine features vessels recognition for a tight lock. It has two orientation alignments to accommodate both right and lefthanders. It also has great built-in settings for easy control. The blade speeds various throughout the cycle. The Tritan pitcher allows the user to blend hot and cold ingredients. Thus, it can blast ice within seconds. 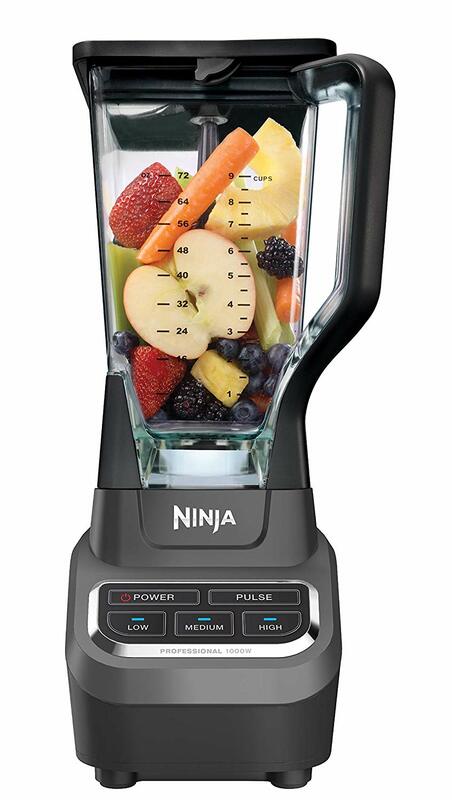 Ninja blenders are loved because of their efficiency and versatility. Therefore, this multipurpose machine is a must-have for every chef who craves the power and precision of a good food processor. You can easily crush ice and frozen fruits with Ninja Chef blender for a smooth solution. Do not fear to grind flax and chia seeds to make a nutritious mix. The mixer is ideal for making soup, extract, salsa, dressing, nut butter, puree, ice cream, and frozen drink. The container features a smart vessel recognition system that will instantly recognize the 72ounce pitcher. It eliminates guesswork thanks to the speed setting. Cleaning the Ninja blender is such an easy task since it has a built-in cleaning preset. 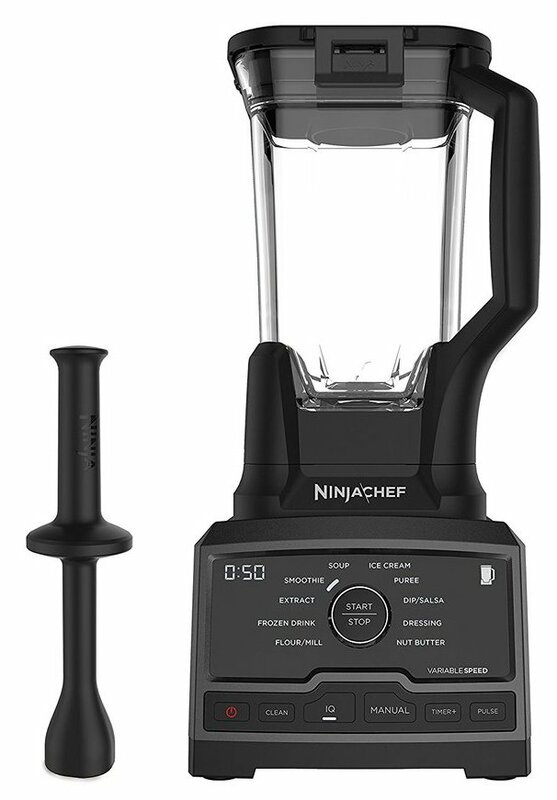 If you’re looking for a kitchen blender with a powerful motor and cost less than $200, then Ninja Chef Blender might be your only solution. 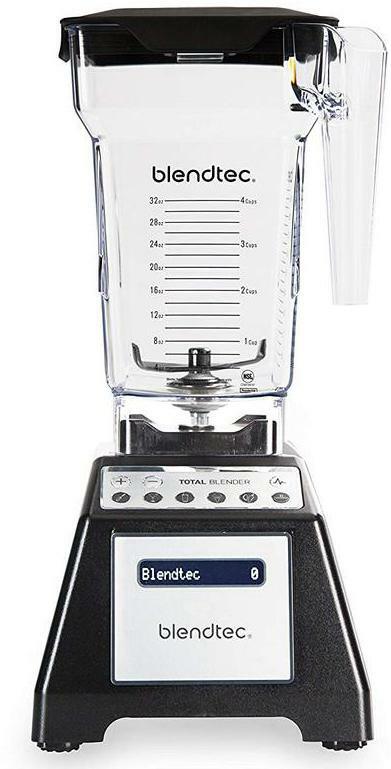 Why we like it: Blendtec blender offers easy blending cycles. The 6 pre-programmed cycles give you full control to adjust blending. With this machine, you’re guaranteed perfect and smooth drinks. 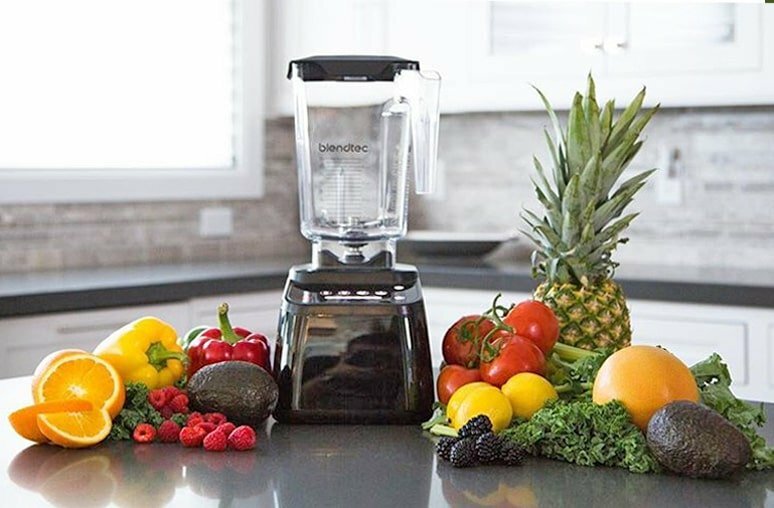 Blendtec blender is a high-performance machine that can bring about healthy and valuable changes in your life. Seeping a healthy throughout the day or preparing a pre and post workout shake has never been this easy. Turning to a quality blender instead of ineffective supplements will save you money, time, and give you the desired result. Its 3HP 1560-watt motor combined with strong four-inch blade make blending an easy and fast task. The base feels heavy, but it’s ideal to give the blender much-needed stability. Blendtec is engineered with blunt-edge blades which are suitable for heavy usage. You don’t need to worry about blending tough nuts and seeds. The Wildside jar comes in a square shape to give it a sleek look. The container can hold 90oz which is suitable for big families. You can use the pulse function for additional blending power. Blendtec is a highly versatile blender that can crush ice, grind flax and chia seeds, and blend fruits and veggies for a smooth smoothie. The all-around machine can lend juices, soups, yogurt, puree, and ice cream. More so, it can perfectly make sauces, hummus, cappuccinos, salsa, and nut butter. If you want a great machine for pureeing, dough making, mixing, blending, and grinding, then Blendtec will be your best bet. Are you new to blending? Don’t worry. This is one of the easiest blenders to operate. It comes with a guide manual for a step-by-step operation guide. More so, it has a recipe guide to enable you to make drinks of your choice. The powerful motor will shut automatically when there is a fault in using the blender. The BPA-free jar is easy to clean. 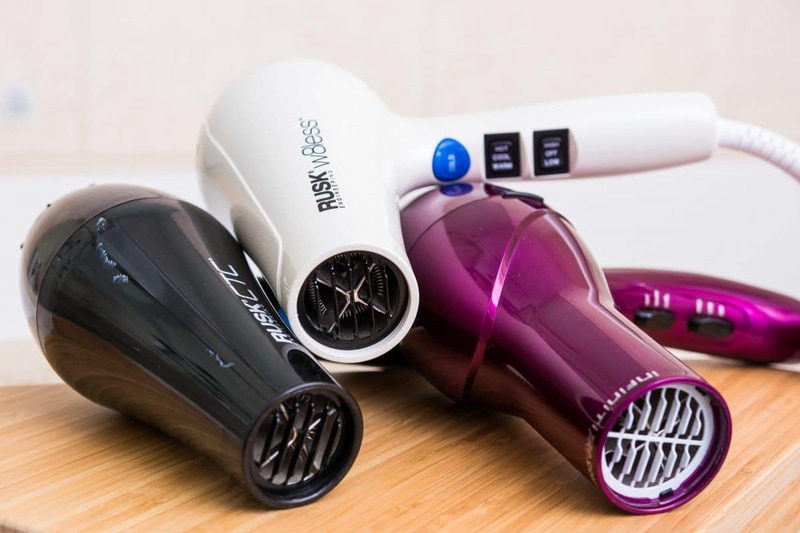 This model offers great features that make blending enjoyable, convenient, and flawless. It’s recommendable for users who want a versatile blender that is built to last. Why we like it: Breville is a quiet and efficient machine that comes with high torque motor to deliver excellent blending performance. Heavy duty blades grind the soft and tough grains. The first thing you will notice about this high-performance blender is its sleek design. The fresh and furious mixer is a lot smaller in size compared to other machines in the market. But that doesn’t affect its functionality. The container can hold a lot of content. It’s made of a heavy-duty BPA-Free Tritan material that is stain and shatter-proof. The base unit is made of heavy-duty die-cast metal to offer stability. The machine comes with four pre-programmed and 5-speed settings along with an LCD. It also has a Kinetix contoured blade and bowl system. The system draws down content from the top and prevents the content from getting stuck at the bottom of the container. The edges are engineered with stainless steel to help them stay sharp for long. Breville’s lid has a unique pull ring to makes it easy to remove the cover. The lid locks tightly to prevent it from popping off when blending ingredients. The Fresh and Furious blender is fitted with four-program and five-speed settings. The electronic speeds include chopping, liquefying, blending, mixing, and pureeing. It can combine delicate foods with a folding motion and chops vegetables with ease. The gadget is ideal for breaking down components to make cocktails and prepare soups. It combines ingredients to makes a smooth smoothie. The blender has a smoothie program that is optimized to make frozen drinks. It’s an easy-to-operate gadget that has heavy-duty blades to make smooth drinks. It operates quietly and efficiently. The Breville Assist Lid contains a ring pull design to seal the container tightly and to get removed easily. The auto clean function enables you to clean the device in under 1 minute. If you want a blender that is engineered to last with various applications, then Fresh and Furious blender is your solution. It’s ideal for a big family. With various blenders being pumped left right, and center, getting a cheap but quality one can be a hurdle. Mixers come in multiple sizes, prices, designs, and features. With all this, getting confused is imminent. But with a few but essentials factors, you will be able to pick the right gadget for your kitchen. Here is what you should consider. People today have become health conscious. Folks are ditching fad diets and ineffective supplements. This has led to the rise of healthy eating habits and exercises. A part of healthy eating is making smoothies which make blenders to play an integral role. Blenders can function like juicers or food processors. If you want a gadget to make smoothies only or perfume single tasks, then stick to cheap blenders that come with few settings. However, if you’re focusing on a multipurpose blender that can mix, grind, chop, and other tasks, pick a versatile one that has sturdy blades to perfume such jobs. The pricing of blenders depends on various factors including the material used, features, versatility, and the brand. In most cases, Ninja brands are associated with high prices. Blenders with glass containers are highly priced since they’re considered durable and stain and scratch resistant. The plastic containers might be cheap, but they are prone to scratches and may not last long. The more the functions a blender can perform, the higher the price. Despite all these factors, always pick a gadget that fits within your budget and satisfies your blending needs. You can get blenders both online and in retail stores near you. However, not every vendor is in the market to offer quality devices. Before buying a blender online, visit the seller’s website and read both amateur and professional reviews. You can seek a recommendation from close relatives and friends. For local retail, ensure the seller is a licensed supplier. You can also buy directly from the manufacturers. Amazon is one of the online stores where you can get the best cheap blenders. Industrialists always indicate the blender motor speed. Most of the household blenders fall between 500 to over 2000 watts. High-powered blenders tend to be pricey compared to low watt counterparts. Wattage indicates the power consumed. The higher the watt, the higher the power consumption. It might increase electricity bills, but you’re guaranteed to smooth smoothies and drinks. But there are three-speed blenders which will do everything you want. Some even expand their functionalities to making milkshakes, sauces, and juices. Each type of blender has a distinct purpose. There are general purpose and immersion blenders. The general type of blender usually cost less and are readily available in supermarket shelves. They are commonly used for making smoothies and milkshakes. Immersion blenders are preferred by bakers and chefs. They are fitted with swirling blades. These types of machines are ideal for making purees, soups, mixing dough and chopping. Know what you want to enable you to choose the right blender that will meet your needs at an affordable price. Getting the best cheap blenders should not be daunting. They are priced differently and come with various features. However, they are different in the form of functionality, durability, and versatility. What and how you want to use a blender will help you pick the right machine. We believe you’re going to invest in a durable and high-performance blender.